This presentation was my favorite and the music told the story. 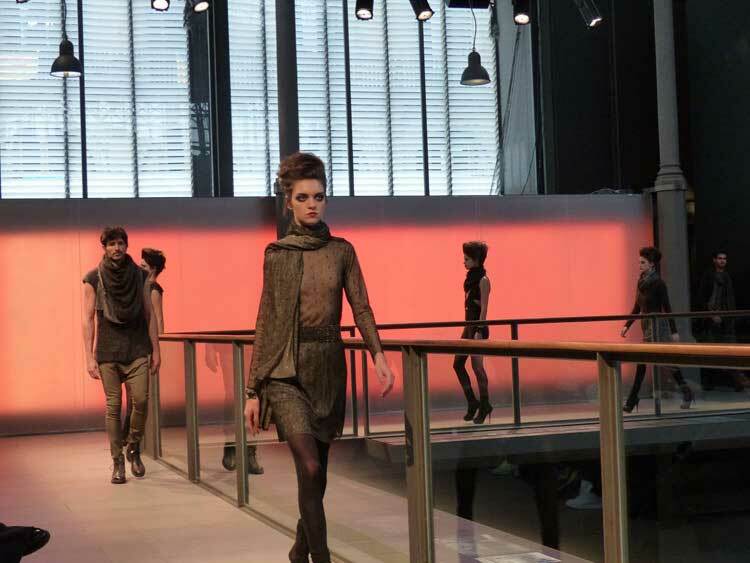 She has shown at Barcelona’s Gaudí catwalk in 1996, 1997 and 1998. Since 1999 she has shown individually at different locations in Barcelona. Since 1998 she has had her own shop in Figueres. In 2003 the Figueres shop was extended to include a new space especially for brides. She featured at the Spain Fashion Fairs at Tokyo and Osaka of 1998 and 1999. From January 2000 she has participated at the international Fashion Fair in Tokyo. In February 2000 www.celiavela.com went online. From 2001 until 2006 she participated at the Cibeles-SIMM space. In 2003 and 2004 she unveiled her collections at the Atmosphère room in Paris. In 2005 she reached an agreement with the luxury brand “Agua de Sevilla” (water of Seville) to both design and produce an exclusive line for women labelled “Celia Vela for Agua de Sevilla”. Since October 2005 she has held an exhibition entitled “Celia Vela – 10 years, 10 fashion looks” at Figueres Museum with the 10th anniversary of the brand. In 2007 she was a part of Bread & Butter Barcelona. She has had a permanent showroom in Tokyo since 2009. Since 2010 she has featured at Barcelona’s 080 show. She regularly participates at conferences about design and fashion and has done so since 1998.